Ok ok.. this may not be the definitive name for it since its not exactly an accurate description of what it is but hey I Like this name so that's how I call it for now!! OMG LOOK! 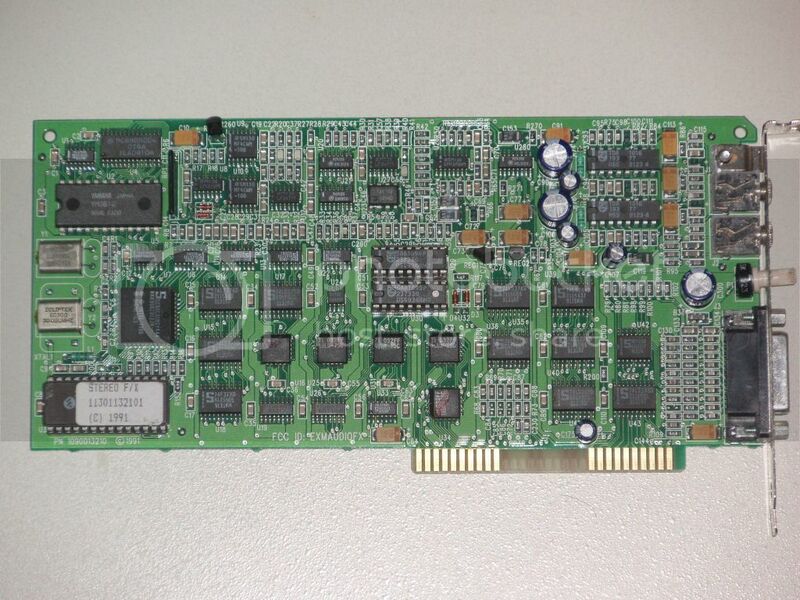 A SOUND CARD!!! Q: What the heck are you talking about MaxWar ? A:Before i go into more details, i will tell you what this is about. Its about comparative recordings of different sound cards playing FM music. I can hear some of you thinking: "But we already have a sound card recording thread! " YES WE DO!! The Grand OPL3 Comparison Run is a project on its own so i think it deserves its own thread. I have about 1.5 gig of high quality flac recordings so far, you can download the up to date package while you read the rest of the post. https://docs.google.com/open?id=0BzsnL20-4a37enp6QWhpUGZRZms <- OK google drive will warn you that it cannot scan for viruses and stuff, THERE ARE NO VIRUSES. Q: So how did you suddenly have this "great" idea ? A: I just LOVE soundcards, I love them all but i have a special place in my heart for ISA soundcards. I also happen to have a substantial amount of them. For quite some time I had this plan of doing comparative recordings of all my sound blaster clones, for fun but also to decide, Which ones are the bests! Q: So you are doing all this recordings just to find ''the best" sound cards for FM? A Yeah, i mean i want to find the worsts too :p Anyway, Im doing this mostly out of curiosity and love for sound cards. Q: Seriously, I can understand why you would want to compare say, a sound canvas with a Yamaha DB50XG, but common, Adlib FM is old and sounds pretty much the same on all cards with only minute differences, why is this so important? A Well, the cards do not sound EXACTLY the same, the subtlety of the differences between them (And sometimes the not-so subtlety) is what makes the whole venture such a delight. Q: By the way why is this thread a Q&A ? A: I thought it would be original and make for a more fun and leisurely read than a pragmatic block of text. Sry if I was wrong. Q: Alright, you only have recordings of about a dozen cards here, why pester us with such an underwhelming achievement? A I will add many more but mostly, id like anyone to be able to participate too!! OMG LOOK!! ITS GOT A REAL OPL3!! Q: Alright MaxWar, now you'd better explain exactly what you are expecting of us before we grow tired of reading all this silly Q&A nonsense! A: Basically, any relevant participation is welcome. About 9 months ago i had hinted about this project on this very forum and fellow member ACE volunteered to help me with it and provide recordings from his own substantial sound card collection. We started exchanging information and ideas about the project, it grew quite ambitious and we started doing some recordings but it was put to a halt at some point. Now it must be resumed, I will contact ACE eventually but from now on this project is open to ANYONE who wishes to provide some relevant help, be it some recordings, help with the website, dropbox referrals or simply providing information or discuss ideas about how this project can be made better or expended ( I have a few myself ) . Q: Wait... Website? You mean, you want to build a website for this thing? A : I know, i put all my efforts in doing good recordings so far, anything else was secondary. This website is a draft. At first i wanted only 3 things on the page. 1. A good picture of the Card, good enough to read whats on the chips. But lately I started writing some stuff about the cards as i tested them, usually its just some ideas and notes thrown more or less at Random in the description but can also be more serious and detailed observation. The latest cards i did have more stuff written down. I think it could be nice in the longer run if this could evolve into a kind of review for each cards. Q:How did you chose which game to use in the recordings? A : Originally I wanted to limit myself to Sharewares so everyone could have them and record a small number of songs, about 4 songs. Since then, several more games were added. Its still mostly shareware or freewares with a couple exceptions. 1. Descent Intro. It makes good use of the FM, has a lot of sounds and various effect, it is compatible with OPL2 but benefits OPL3 for stereo. I was also curious if any card would not have the slowdowns. 3. Dune - Palace music: This one is not shareware but Dune has, I think, one of the most splendid FM soundtrack out there. I really think it is magnificent and makes great use of the OPL chips so i included it. It is also one of my favorite childhood game ^^. 5. DooM E1M2 : Using a doom music came after a recommendation from ACE, we originally decided on E1M1, but I now favor E1M2 as it has some interesting envelope use and is a generally quiet soundtrack, which is good to compare background noise. 6. Wolf3d Level 1 , once again a recommandation from ACE, it is quite old school and you often hear weird things in the soundtrack, its generally a good base of comparison. 7.CybersphereDemo - Info screen. Here we have a genuine OPL3 game, it makes full use of the OPL3, not just for stereo like Descent. It cannot run on a OPL2. It has a very badass soundtrack too. I am experiencing severe speed slowdown issue with the game though, the Info screen in the DEMO version is the only place with no slowdows. This game is now freeware but the Demo is still available on the net. 8. Xwing music. Not a shareware but ACE really insisted on this one. It is a somewhat capricious game and will often produce all sorts of glitches when it plays on clone cards. ACE also has alot of testing already done comparing different cards with this game. He made a youtube series about the many sounds of Xwing. I personally decided to stop using it as i found it was complicated to use for a public type of test. There are 3 versions that will not react the same on FM and is also sensible to the speed of the computer. The floppy, floppy + patch and CD versions all react differently sound wise. 9. Secret of Monkey island Intro. The excellent soundtrack here shines bright on the MT32 but the Adlib version can be a little strange and can glitch very bad with some cards. I have yet to test it on many cards as it is the latest addition. I find it is a good comparison base because it seems to have a tendency to glitch. If someone wants to do recordings I encourage them to use as many of these songs as possible. If you want to add more songs or think some of the choices are off, the matter is open to discussion. HOLY COW! THIS THING EVEN HAS CMS CHIPS ON IT!!! Q: Ok, I have a sound card and i want to make some recordings of it for this project, what are the requirements? A : This is where I will be strict on this project, and it is important. I would ask that everyone use the same recording method and high standards that i used so far. I insist on that not only for consistency but to allow objective comparison between recordings of different cards. The output quality of sound cards is a subtle matter and comparing it through recordings will require some rigor. The recordings must be good quality and be done in a consistent manner otherwise the project loses a lot of its "scientific" value. If you do not want to follow this quality standard guideline please do not bother making recordings. It's not, I hope, as harsh as i make it sound but i really insist on quality here. I wrote a "somewhat detailed" Guide about doing recordings in the appropriate way, its on the website here. Q: I already have made some recordings in the past, since they already exist will you take them as is? A: You can submit them and i may include them in the collection if I judge they are adequate, but i probably won't unless they are very close to the requirements explained above. Q: Do you only want to compare ISA sound cards? A: No, i plan to add several PCI cards to the comparison in due time. I think some recordings should be done using DOSBOX too, to see how it compares with the real thing Or any sort of wacky FM emulation, be it hardware or software is more than welcome by the way. Q: Will you give proper credits and references to people who helped? A: Absolutely! Furthermore, some totally awesome threads and other works about sound cards have been done here in Vogons and elsewhere, I may reference them from time to time. Whenever I use the work of another in any substantial way I will give a reference to original content. Q: The download speed is quite low and what kind of web hosting are you using for this stuff? I used google site as its free and ads free. It comes with a built in simple html editor that is easy to use and it has a convenient built in layout, perfect for a noob like me. All the pictures are hosted on Photobucket and the audio Files are on my dropbox account. The cool thing with Dropbox is that public files are hot linkable, unlike Google drive which has an intermediate page. Now the problem is i only have 500 MB left on my dropbox. This is where you guys could help me with referrals. Each referrals that register will give me another 500 mb, up to like 20ish gigs. If you want to contribute by giving me dropbox referrals that would be greatly appreciated, just PM me with an email. If you have a better idea for free hosting please inform. Feel free to ask any questions or comment on anything. If you spot as mistake in something i wrote or a bad link on the page or anything, please advice, i have a tendency to make mistakes. Wow thats it! I finally made this project puplic! I will keep this thread updated with any new additions regardless of the interest level it gets. Last edited by MaxWar on 2012-7-22 @ 19:03, edited 1 time in total. FM sound card comparison on a Grand Scale!! The Grand OPL3 Comparison Run. The guide for recording is well done and very important for something like this. Very nice observation and you are right. The Normalize function will be applied to L and R independently If you do not check the option. The bad news 'for me' is that i am still using an older version without the checkbox but I always assumed that it would preserve stereo balance by default, looks like i was wrong! This was not even a feature on the older versions. I guess ill have to revisit some of my recording to fix that. Hopefully most of the recordings are mono so it does not really apply. Thanks for the pointer, i will update my recording procedure. Curse of Monky Island is a typo, right? I could provide in game recordings of my various PCMCIA cards if you are interested, most of them are compatible with OPL2 or OPL3 (mix of OPL3, OPL4, various ESS chips and other hardware like the IBM MWAVE and the Wavjammer chip) but no pictures of the chips. Yes, secret of monkey island that should be, sry, its fixed now. I usually just use monkey island intro for convenience . And PCMCIA card recordings would be great to have of course! So is this more about differences of the different FM synth chips (OPL2, OPL3, OPL3-SA3, OPL4, Yamaha OPL integrated into larger chips, OPL clones from other manufacturers), or differences in the analog portions after FM chips (DAC, reconstruction filters, op-amps, mixers, amplifiers, output stages)? Well ultimately it would be about the differences of the whole card. What amounts to the difference will make for an interesting debate. 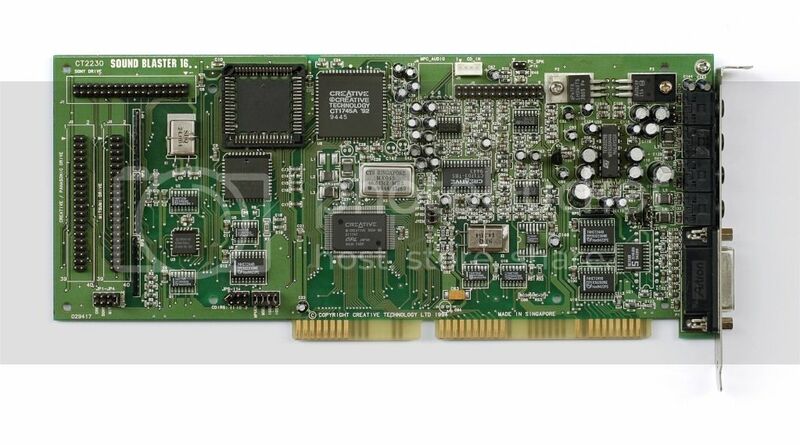 I definitely want to hear an original Adlib card simply because I have heard that they sound different compared to OPL2 Sound Blaster cards. Yes, its about the differences of the whole card, anything could have an influence on the card output. I have two CT4180 card that have the same looking PCB and parts but they have a different logo. I am tempted to record them both to see if there is a difference. 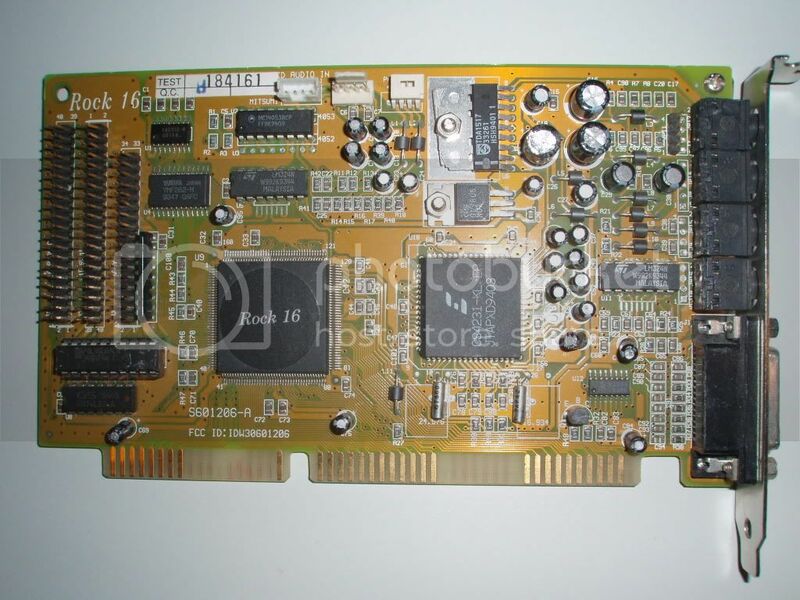 Mau1wurf1977 wrote: I definitely want to hear an original Adlib card simply because I have heard that they sound different compared to OPL2 Sound Blaster cards. I have one coming in the mail probably this week. Its untested and missing the volume knob but seller says otherwise its looking good. I got it for real cheap, worth the risk. MaxWar wrote: Yes, its about the differences of the whole card, anything could have an influence on the card output. I have two CT4180 card that have the same looking PCB and parts but they have a different logo. I am tempted to record them both to see if there is a difference. Might get no audio output as the volume control is basically a variable resistor I believe. You can short out the pins so it outputs maximum volume. RichB93 wrote: Might get no audio output as the volume control is basically a variable resistor I believe. You can short out the pins so it outputs maximum volume. You are right it is basically a variable resistor and the card will definitely give no output with it removed. My plan was rather to solder a new potentiometer in order to control the output in case the card has an onboard amplifier on the strong side. OK I HAVE A SMALL UPDATE ABOUT AUDACITY. I just installed the latest version of Audacity (2.0.1) and there are some differences with the older version i was using. I made adjustments to the recording guide accordingly. Bellow is the newly updated section about the normalize effect. -At this point we will use the NORMALIZE effect, This will help keep a standard listening volume across all the recordings in this project. Note that if you are using audacity 1.3.13 or earlier normalize will adjust each channel (L, R) independently so you should only use the normalize for DC offset then use Amplify to standardize the volume. In Audacity 1.3.14 or later, normalize has a checkbox to adjust each channel of the stereo track independently. Do not check it or the stereo balance of stereo recordings could be affected. The normalize will center any DC offset and scale the waveform so the maximum amplitude of your recording is exactly at 1 db. They also changed the default setting across the versions from 0,0 db to -1.0 db. They did that to help with common clipping issues that users experienced when they used normalize and then other effects. As we are only using normalize this does not concern us and please set it to 0.0. I really need to get back this. I've been sidetracked by a whole slew of different projects and my MS-DOS test PC is put away in storage. I'm gonna pull it out, find my bin of sound cards and start recording audio samples again. I made a couple recordings of my Vibra, hopefully they're up to par. I followed the directions and recorded the audio properly using Audacity. Hoping to do X-Wing and Wolf3D soon, but I'm done for tonight. Last edited by CapnCrunch53 on 2012-7-23 @ 02:39, edited 1 time in total. PCs, Macs, old and new... too much stuff. Ace wrote: I really need to get back this. I've been sidetracked by a whole slew of different projects and my MS-DOS test PC is put away in storage. I'm gonna pull it out, find my bin of sound cards and start recording audio samples again. Nice to see you here. I was going to notify you about this thread but looks like you discovered it yourself in short order. And i know what you mean, got carried away by all sorts of projects myself. CapnCrunch53 wrote: I made a couple recordings of my Vibra, hopefully they're up to par. Awesome!! Sounds good to me! I will add them to the compilation in the next update. MaxWar wrote: Awesome!! Sounds good to me! I added two tracks from DooM to my previous post. Managed to make a working disc finally. Mau1wurf1977 wrote: Well ultimately it would be about the differences of the whole card. What amounts to the difference will make for an interesting debate. OK, I was just concerned because only thing being PCM is the OMF2097 intro, and the rest of the stuff is about FM chips or their emulation. The OPL chips have a separate FM DAC, and thus the FM audio and PCM audio can have very different analog paths. So in theory, two cards could sound identical with their FM performance, but completely different with their PCM performance. Or the other way around. I would love this too. Sadly I don't have a real Adlib, but I know its internals very well. I do have a SB with OPL2 chip, so I can compare the differences. I have to dig out the SB and reverse-engineer it a bit. The point is that the Adlib card has an fourth order low-pass analog reconstruction filter after the DAC. The filter cut-off is at about 15-16 kHz. Also the Adlib has a speaker amplifier with enough power to drive a speaker directly. Other cards with OPL2 might have a different filter, or not have this filter at all, and therefore have more or less high frequencies in the sound. These cards may have a line-level output only, so there is no speaker amplifier in the audio path. Usually chips with same part number are reasonably identical between different manufacturers. Usually differences are similar to say different manufacturing batches from one manufacturer. Of course some manufacturer might have looser tolerances or something. MaxWar wrote: You are right it is basically a variable resistor and the card will definitely give no output with it removed. Is it the new model which is supposed to have a big blue potentiometer, or old model which is supposed to have a small trimmer potentiometer? There is a thread on Vogons which has the correct part number for the big blue potentiometer, IIRC it is a 10k logarithmic potentiometer from Bourns, and the resistance curve was somehow specifically tuned for adjusting volume in audio applications. It may help you to find a replacement. I suppose any 10k logarithmic pot would suffice, though. Great idea, I can record some later today on an YMF-719. Supposedly that is a standard OPL3 with zero filtering. I can also make some ESFM recordings. I have two or three ESS sound cards, one of which is integrated in a laptop and that might be slightly different. Might not get time to fiddle with it until the weekend though. Jepael wrote: OK, I was just concerned because only thing being PCM is the OMF2097 intro, and the rest of the stuff is about FM chips or their emulation. The OPL chips have a separate FM DAC, and thus the FM audio and PCM audio can have very different analog paths. So in theory, two cards could sound identical with their FM performance, but completely different with their PCM performance. Or the other way around. Yes, this test is mostly focused on the FM part but i wanted to add a small PCM test to get and idea of how the card would perform with digitized audio. But this brings me directly to the point of OMF2097. I no longer believe it is a reliable test. I used this at first because it was an easy to get freeware and had settings for various cards, also some comparative tests on this forum have used Jazz jack rabbit ( I would have to dig the thread ) and this somehow inspired me to use OMF2097 which use a very similar audio engine. But there are issues. I think some incompatibilities with some cards makes the game output at lesser quality than the card could. Also, the stereo will not work all the time and there is this EXTREMELY ANNOYING bug. When you have a SB16 compatible card and you select SB16 with highest quality setting and launch the game, it works. But then if you quit and restart, the audio is now mono and in the lowest possible sampling rate. No amount of rebooting and switching settings back and forth fixes it. I found however that this did not happen when the game was run in Win95. Its still annoying. I started to think that maybe it should be better to use a proper Wav file and play it with a dos utility such as is pretty much always provided with the sound card drivers. jwt27 wrote: Great idea, I can record some later today on an YMF-719. Supposedly that is a standard OPL3 with zero filtering. At least the implementation is somewhat different from the original OPL3 implementation in YMF262, because they use different master clock speeds, so yes, it would be interesting. Maybe use a different game? What about The Dig (demo)? It has digital voice and music and should support plenty of Sound Cards as it's quite a late DOS game.